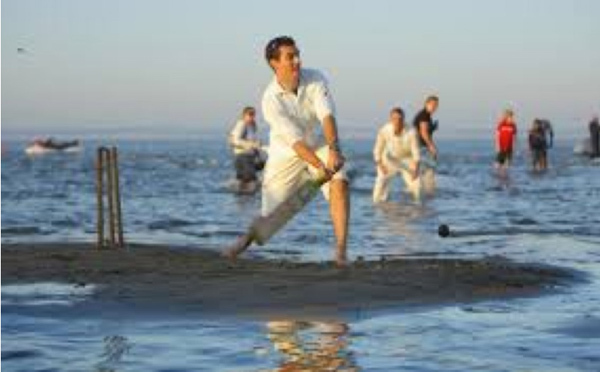 Iain was born and educated in Lytham St Annes, Lancashire and then read law, intermittently and insufficiently, at Liverpool University, trying not to let it impact overly on his enthusiasm for sport. 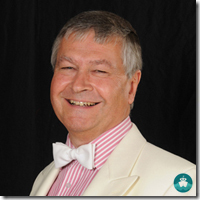 He qualified as a solicitor in 1972 specialising at the outset in advocacy before moving on to corporate work. He then changed career in the mid 1980's leaving practice and working for a private banking and commercial property institution. 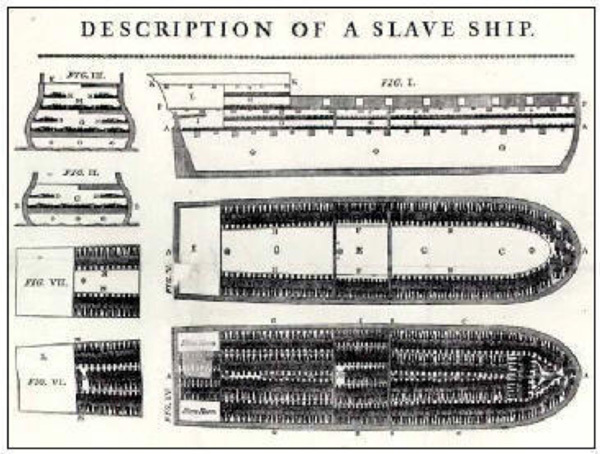 Employment by the successors of the original slave ship owners and with strong family ties to the engineering side of the cotton industry created, in time, an expert interest in all aspects of international trade, in particular it's financing of the western British Empire. At present there are nineteen headline subjects in his repertoire that encompass Caribbean, Central and South American themes. His 'signature dishes' include the epic tale of the construction of the Panama Canal, the turbulent history of the West Indies, the torrid story of Cuba - Columbus to date, together with his circumnavigation of South America in three parts. 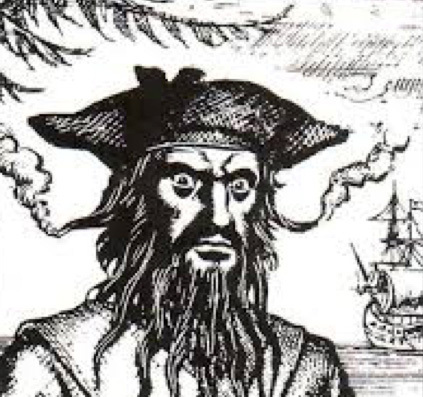 Broadening the regional discussion he takes on the Liverpool slave ship owners, the English sugar barons of the West Indies and the real pirates of the Caribbean in rapid succession. During the 'middle passage' he looks at two favourite titles; the first hundred years or so of steam across the North Atlantic beginning with Brunel's vision of buying your ticket at Paddington station and disembarking in Boston or New York, and his biography of the English Channel. Sadly this last piece still languishes in research and development to become a book! Extensive and recent travel in the Caribbean and Central America have added dimensions and supplementary material for engrossing presentations which he approaches from less orthodox and non-apologetic standpoints. Survey our empire and behold our home!" 1. The Story of the West Indies. Columbus to Freedom, A Rocky Road. At breakfast time on 12th October 1492 (old calendar) all was tranquil and idyllic on these paradise islands we have come to know and love as the West Indies. By teatime Columbus had set in train a tidal wave of European exploitation, then settlement and violent colonial rivalry over these 'treasures' of the gorgeous Caribbean. Their legacy when they departed does not leave us with a great deal of which to be proud. * This presentation can be divided into two as required. A) Landfall to the abolition of the slave trade. B) Emancipation itself in 1834 to the present day. Cut through the remorse, self-recrimination and hypocrisy and examine the ships and the men who ran this thoroughly international trade in its heyday and set their activities in proper context of time and place. 4. Cuba Libre,or not so Free,yet? 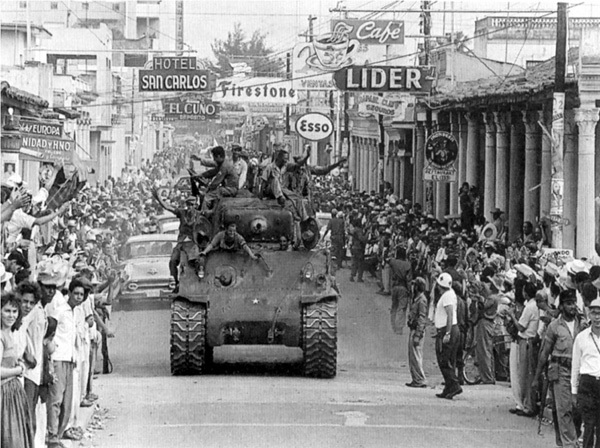 It is impossible to have anything other than profound sympathy for the Cuban people who have endured throughout their history, oppression, incompetence, and generous helping of personal dishonesty from their rulers.It all began with the steely jesuitical zeal of the Spaniards, later interference and investment by the US, open embracing of the Mafia with all its evil and immoral practices, to a prolonged and ultimately unhealthy dose of Marxist-Leninism! But a brighter future dawns, at long, long last, surely? * This presentation can be divided into five specialist talks as required. B) The Mafia years - Capone to 'Lucky' Luciano. C) Thirteen days in October - The Missile Crisis of 1962. D) Fidel, Raul and Che - The Young Guns - case studies in Cuban communism. E) Havana - Portrait of an Exotic and Romantic City. Mr Gladstone, paragon of Victorian manhood, "Prince of Humbug" and a profiteer from his grandfather's Demerera slave operated plantations.Reprise 'The Merchant Kings of Empire': eg Alderman William Beckford, in his hay- day(1750's-1760's) the wealthiest commoner in England, by far. 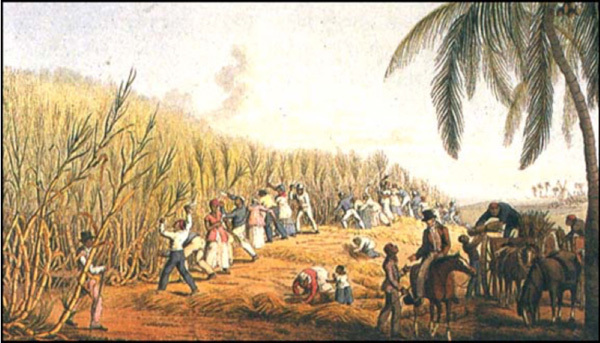 Three times an MP and twice Lord Mayor of London, but those 22,000 acres of plantations in Jamaica did not tend themselves! A snapshot of just one roaring success of 18th century British trade and a tale of gross Georgian and Victorian hypocrisy. 6. 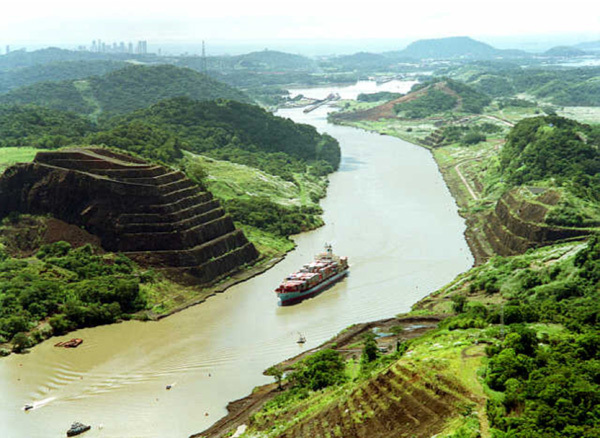 The Impossible Dream - Building the Panama Canal. Ferdinand de Lesseps. Nemesis. From a French lead disaster to a Machiavellian U.S. triumph at a cost of nearly 30,000 lives and billions of francs and dollars. The detail in between reads like a thriller. C) Subject to the captain and pilot�s permission, A view from the bridge a commentary during transit. The isthmus connecting North/South America is too often overlooked. Ancient Aztec, Mayan and Inca influences, not to mention a hefty dose of Iberian Colonialism and more than a whiff of Inquisition. Revolution and rebellion. Re-organisation and war. The struggle for recognition and independence. The story to date and its relationship, not always easy, with Uncle Sam. 8. 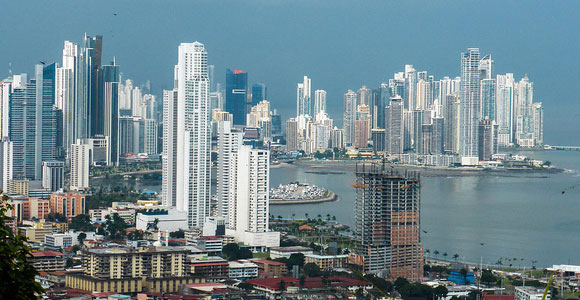 Panama - The Nation Built on Wall St. The story of Panama often goes unheeded. People tend to think only of the canal. Yet the tale of the country itself is no less exciting. 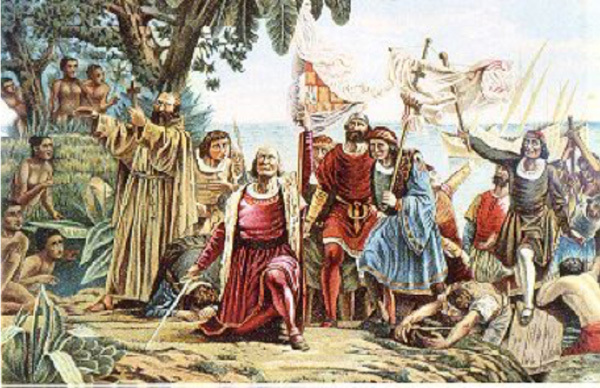 Sir Francis Drake, Sir Henry Morgan and others trying to steal the gold from the conquistadores . 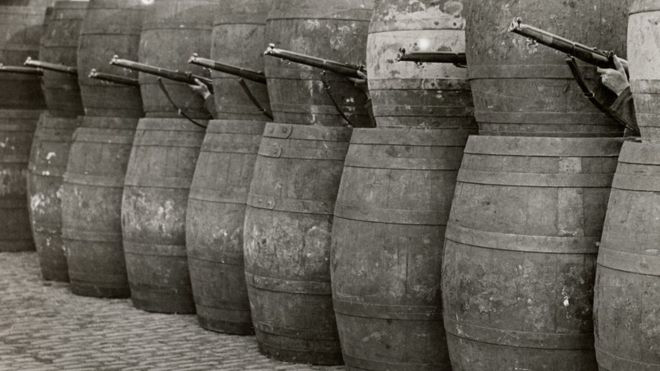 Spanish suppression. Cynical liberation by the USA in order to build 'their' canal. Democracy of a sort, a full scale US military invasion - another just cause? The consummately evil General Noriega and the background to those 'Panama Papers'. Masses to consider. 9. 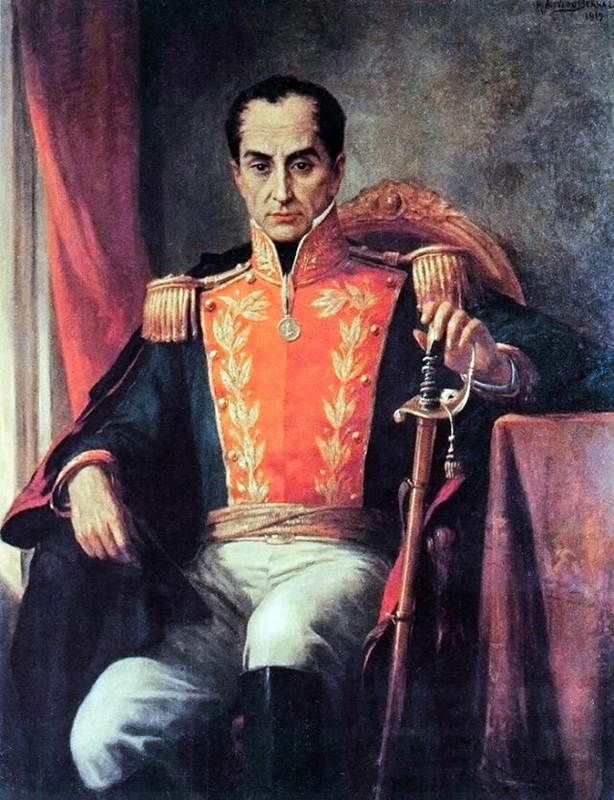 Simon Bolivar - Liberator & The Birth of Modern South America. Born in Caracas, rich spoilt and wayward. No early clues from his youth that Bolivar would rise, utterly fearlessly, to become the 'greatest South American'. When creaking Spain imposed direct and crushing rule from Madrid on her South American colonies, hundreds of thousands yearned for their freedom. Simon Bolivar delivered it to millions helping to create en route, Greater Colombia. Ecuador, Peru, Venezuela and of course, Bolivia. Exalted and venerated for a while, he died reviled, misunderstood and penniless, but the Spaniards never returned! 10. Brazil - A Giant Still in the Making. As Spanish and Portuguese explorers discovered more and more of the outline of South America they appealed to the Holy Father to resolve their competing terretorial claims. By the Treaty of Tordesillas in 1494, Portugal got what we now call Brazil and Spain got nearly all the rest! But, not a bad deal over the span of history. 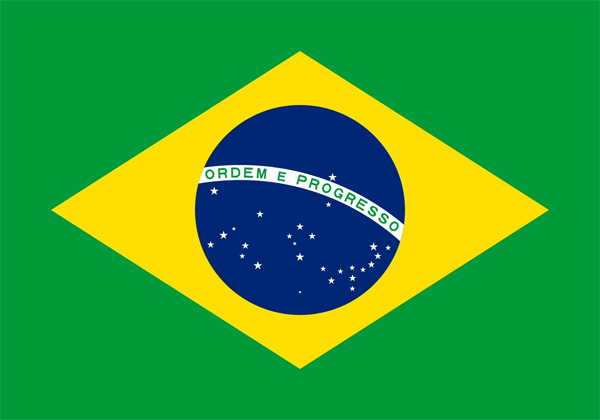 Brazil occupies 47% of the land area of South America. The Amazon basin is still home to a vast tropical forest, diverse wildlife and ecological systems, and rich ethnic antiquity. Much still to discover and understand. Brazil is truly a 'megadiverse' country, but one of the last to abandon slavery. All the natural bounty of this beautiful land has brought neither the harmony or economic 'El Dorado' its people deserve. This presentation completes the South American trilogy. 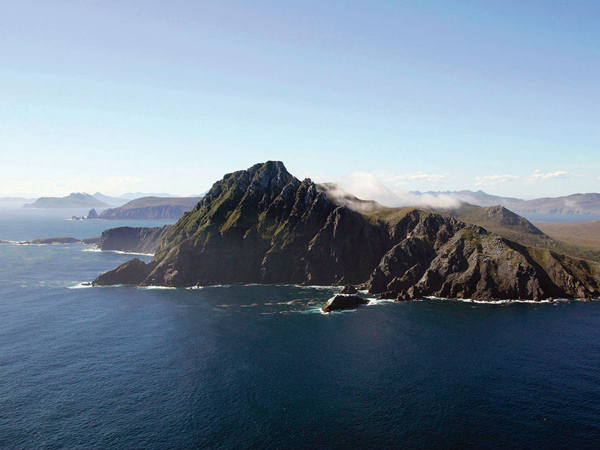 South from Brazil, this piece looks at little known Uruguay and Paraguay, over known Argentina, via Tierra Del Fuego and up the Pacific coast, to Chile and again Peru. As Spanish colonial rule weakens and decays, so rival powers seek to intervene, interfere and 'liberate' these countries. From the intrepid Magellan and co via the dauntless and extraordinary Admiral Lord Cochrane, a troubled past gives way to a slightly more stable present, but still the outsiders intermeddle in the name of 'investment' eg the recent Chinese purchase of an entire mountain in Peru to secure its own future supply of copper. 12. The California Gold Rush. The Original San Francisco '49ers'. Prospectors, speculators, blackguards, claim-jumpers and straightforward murderers. All 300,000 of them! The hopeful and the damned came from all parts of the world. A decade that transformed the west coast of the USA forever and join up the continental union for the first time and so very nearly tipped the United States into the bloodbath of its civil war fifteen years early. 13. 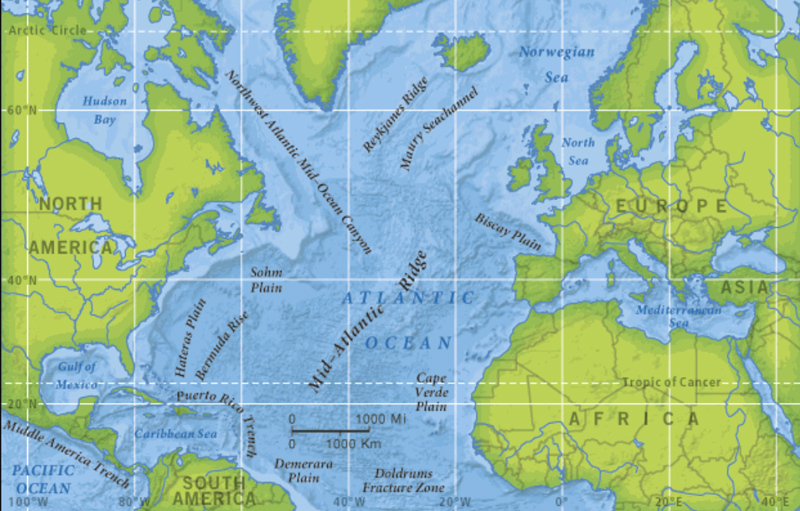 The Mighty North Atlantic - In all, thirty-three million square miles of ocean. A living thing, complex and multi-dimensional, forever roaring, boiling, crashing and swelling. Lapping gently, if you are lucky, and always pondering and powerful. Crucial to our human story. We have lived around its edges, crossed and recrossed it, fought on it, plundered it and polluted it. Yet it proudly defies us all, both a barrier and a bridge to the New World. It will still be here long after we are gone. 14. The Atlantic Railway. Brunel's Vision. The first hundred years or so of steam passenger ships across the North Atlantic and pursuit of that illusive Blue Riband. 'Buy your ticket at Paddington Station and disembark in Boston or New York', was Brunel's plan. Even he would have been impressed by the century that followed of largely British triumph in finance, design,engineering, artistic (and gastronomic!) 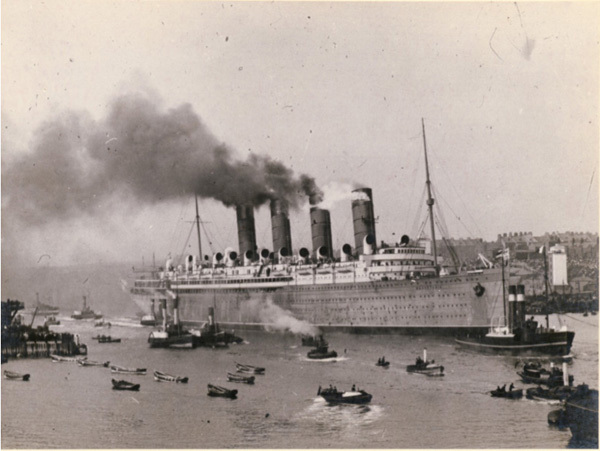 skills to produce the magnificent procession of ever grander and majestic ocean liners. Courage, folly and massive investment. 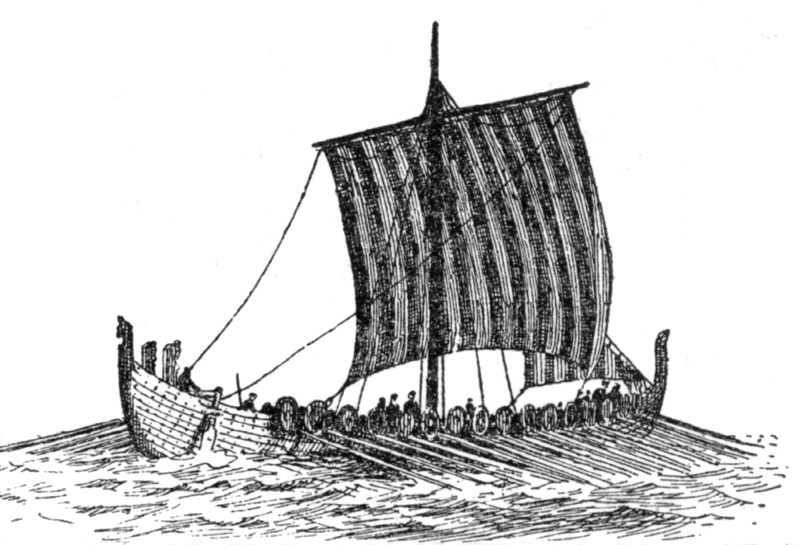 Can ships disappear, totally, into the North Atlantic without trace? Certainly and disturbingly frequently! This illustrated presentation divides neatly into two parts, if needed. 15. A Short Biography of the English Channel,"Or why we are why we are!". Beginning with when the Channel was formed and how this narrow stretch of water has come to influence the way we think, speak and behave. Many welcome visitors, some less so, and some would-be visitors who so very, very nearly made it, but not quite. Phillip II of Spain and his vast Armada, Bonaparte with barges, a tunnel and hot air balloons and you know who in those perilous early 1940s. Brussels? Don't dare mention it. 16. The Irish Sea, The Western Approaches and The North Sea. Together with the English Channel they complete a triangular screen that has enabled the United Kingdom to become, ��� "This scepter'd isle .. This happy breed of men, this little world, This precious stone set in the silver sea". 17. The Easter Rising - Dublin 24th April 1916. Doomed from the outset, but another heroic step in the needlessly long and harrowing road to Irish independence. 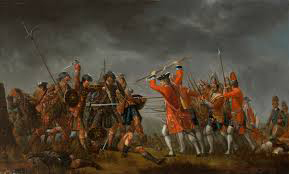 The final throw of the dice for the francophiles James Edward Stuart and his son Bonnie Prince Charlie, respectively the Old Pretender and the Young Pretender who calculated that by invading England via Scotland they could wrest the crown back from the Hanovarians. They came close, much closer than they themselves thought. A magnificent trade and a massive industrial contribution to the British Empire, (and something of a srain on US /UK relations 1861 t0 1865). 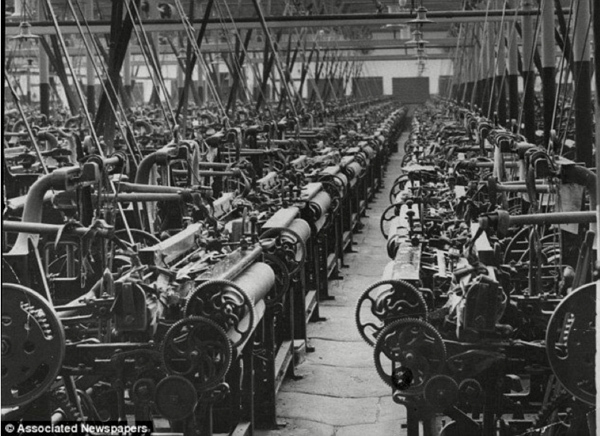 Were those mills quite as dark and satanic as portrayed? No, not always. Hear the owners� case. The history of the construction of the Suez Canal begins with the Pharaohs and King Darius of Persia. All made sporting shots at crossing the desert by boat, with mixed results. Ringmaster de Lesseps pulled the money and the skills together. The canal opened in triumph and to great acclaim in 1869 creating the first salt water passage between the Mediterranean and Red Seas. Within 5 years it was grossing reciepts of �1,000,000 per annum in the money of the day. Oh that it had stayed so simple! 21. The End of the Empire. Or - Do we owe the world an apology? Origins, ups and downs, then plenty of ups. Exploitation and globalization. At one point holding sway over about 458 million people, a quarter of the world's population and 13 million square miles of the globe.A view of its rise - "so we cannot carry on trade without war, nor war without trade", to decolonisation and decline. Legacy? Immense, take pride in it. This massive topic conveniently divides into a two part presentation. 22. The View from my Sitting Room Window. 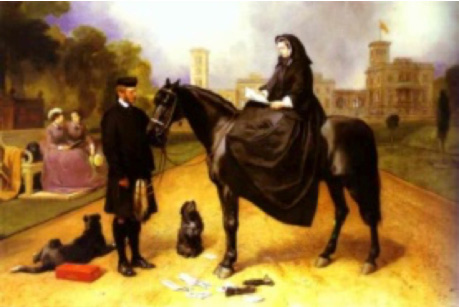 Queen Victoria at Osborne. The final months of her life reflecting upon her beloved Albert and not so beloved children! In tranquil surroundings enjoying the magnificent view across the broad sweep of her gardens to the Solent. 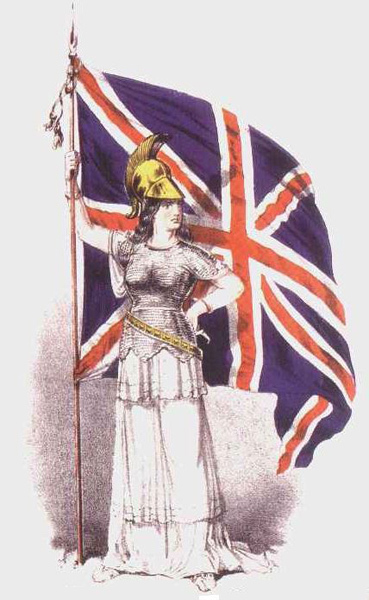 Could she have ever imagined the Empire over which she presided, but never visited, would ever end? From timeless chauffeuring in an immensely powerful Bentley Continental and returning to the famous racing marque of 1920�s- once infamously dismissed as being �merely the fastest lorries in the world.� Shame on you Signor Bugatti, shame on you! 1. 2013, Fred.Olsen Boudicca - Tobago, Barbados, Antigua then Transatlantic. 2. 2014. Fred.Olsen Balmoral - Caribbean ports, Havana, Bermuda. 3. 2015. Fred.Olsen Braemar - Caribbean and Colombia, including Colon for the Panama Canal. 4. 2015. Saga Sapphire - Barbados, Trinidad, Aruba, Panama Canal with his commentary from the bridge during transit, Acapulco. 5. 2016. Fred.Olsen Braemar - Caribbean ports and coast of Central America to Cozumel. 6. 2016 Thomson Dream - Jamaica, Havana and Cayman Islands. 7. 2017 Saga Sapphire - St Lucia, Barbados, Curacao, Panama Canal transit with commentary, Central America and Acapulco. 8. 2017 Fred.Olsen Boudicca - Peru, Panama Canal with commentary and West Indies. 9. 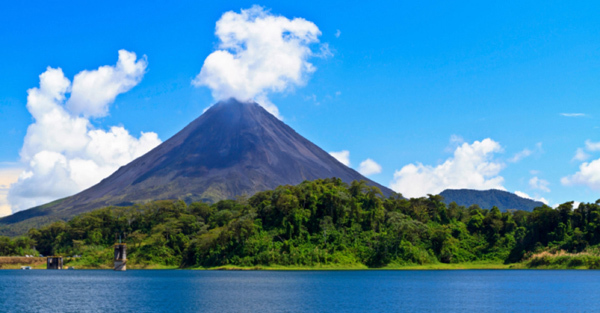 2017 Viking Ocean Cruises - Central America with Panama and partial transit of the canal. 10.2018 Viking Ocean Cruises x 2 - West Indies Explorer. 11.2018 Cunard Queen Mary 2. - Southampton to New York. 12.2019 Viking Ocean Cruises x 3 - Cultural Cuba. Iain also provides these talks and presentations throughout the year (currently averaging 17) on land, to clubs, societies, professional and academic institutions.